As well as being the Associate Editor (Health Economics) of Diabetic Medicine, he is the 2013-15 International Diabetes Federation (IDF) Chairman of the Task Force on Health Economics, the Co-founder/current Steering Committee member of the Mount Hood Modelling Diabetes Group, a Member of the 2013-15 Heart Foundation Future Fellows Selection Committee, member of the 2013-15 National Diabetes Strategy Group reporting to the Federal Minister for Health, Member of the Diabetes Australia Health Economics Expert Reference Group, and was an American Diabetes Association panel member for the development of diabetes health economics modelling guidelines. Prof Palmer studied medicine at the University of Tasmania, after which he worked at the Launceston General Hospital, then as a general practitioner in Sydney. In 1994 he moved to Switzerland, where he was researcher and Medical Director of the Institute for Medical Informatics and Biostatistics (IMIB) from 1994 until 2000. 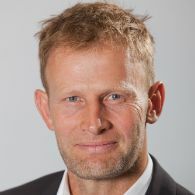 CI Palmer co-founded CORE, Center for Outcomes Research, in Basel, Switzerland in July 2000 and was Medical Director and CEO until 2005. He was named by the International Society for Pharmacoeconomics and Outcomes Research as one of the top 10 most influential people in health economics in 2005. Professor Palmer's research aligns with the university's research theme of Better Health. He has conducted research and published extensively in the area of health economics and the modelling of diabetes and diabetes prevention. In addition to his work in the area of diabetes, CI Palmer has conducted research and published extensively in other disease areas including multiple sclerosis, nephropathy and renal failure, hypertension, dyslipidaemia, deep vein thrombosis and pulmonary embolism prevention, osteoporosis, alcoholism, growth hormone deficiency, rheumatoid arthritis, cardiovascular disease and oncology. CI Palmer led the development of the CORE Diabetes Model, which has been used to inform reimbursement and policy decisions regarding diabetes interventions on an international scale. The CORE Diabetes Model is the most widely published diabetes health economics model, and has been used in over 30 reimbursement submissions for pharmaceutical agents and devices worldwide. The methodology applied by CI Palmer's team has been used as the basis for international recommendations for guidelines in diabetes modelling. CI Palmer co-founded, has chaired and been an active member of the Steering Committee of the Mount Hood Modelling Group, committed to the increased accuracy, validity and usefulness of complex diabetes models throughout the world. He was part of the American Diabetes Association Panel for developing guidelines/recommendations on the development of models of diabetes. The data generated from the MS prevalence and cost of illness study was used by Australia's leading MS advocacy group, MS Research Australia, to lobby the federal government for implementation of the Disability Insurance Scheme (in the meantime this has been passed with bipartisan support in the Federal Parliament). Prof Palmer has an H-Index of 25 (Scopus January 31, 2014), over 100 PubMed-listed publications; 1,916 citations; article with highest number of citations=174; 19 articles cited more than 30 times. He has been a reviewer for a number of major international journals and societies, including American Journal of Kidney Disease, Annals of Internal Medicine, Clinical Therapeutics, Current Medical Research and Opinion, Diabetes Care, Diabetes Obesity and Metabolism, Diabetic Medicine, Diabetologia, European Journal of Health Economics, Expert Opinions in Pharmacology, International Society for Pharmacoeconomics and Outcomes Research, Journal of the American Medical Association (JAMA), PharmacoEconomics, Swiss Medical Weekly and Value in Health. He has participated in numerous advisory boards and been a key member of several major medical and health economics workshops. NHMRC wishes to establish a panel of providers with relevant expertise to assist NHMRC with the development and presentation of evidence based health advice and resources including: a. clinical practice, ethics and public health guidelines; b. systematic reviews and literature reviews; c. public statements; and d. information papers. NHMRC proposes to use the Panel to source providers to support the translation ofresearch into policy and practice according to NHMRC publications development criteria. We are facing a global inactivity crisis. Participation in recommended amounts of physical activity (PA) has remained stagnant since the 1980s,indicating limited population-level impact of strategies to promote PA. A shift in focus from leisure-time to transport-related PA holds promiseas an attractive but under-exploited opportunity to support individuals to incorporate more activity into daily life. Healthy transport options walking, cycling and public transport are critical social determinants of health, by reducing traffic accidents, increasing social contact,reducing air pollution, and increasing exercise. Improving our understanding of travel behaviours and identifying strategies to increase use ofhealthy transport options have been identified by our three highly engaged Tasmanian Partner Organisations as important priorities. This projectseeks to generate evidence with service providers, state government and local government authorities to support decision-making and resourceallocation in relation to increasing active and public transport use. Working closely with our Partners, we will analyse data from existing datasources to better understand Tasmanians travel behaviours and the factors that influence these, by evaluating the effectiveness of two realworldfiscal strategies aiming to increase active and public transport use, and by developing and implementing a knowledge transfer strategy toensure findings are effectively communicated. This project will generate some of the first evidence internationally about the effectiveness offiscal strategies to increase active and public transport use, and will provide crucial information to directly impact the work of service providers,decision makers, policy-makers and practitioners. By identifying effective strategies to increase PA through active transport, the implications of this project have the potential to make major direct health, social, environmental and economic impacts globally. Exertional desaturation (low blood oxygen during exercise) is a hallmark of fILD, occurring in over 50% of patients. It is sometimes treated withambulatory oxygen therapy (AOT), which involves breathing supplemental oxygen during physical activity. However the absence of clinicaltrials has given rise to marked variations in policy and practice globally. Even where AOT is available, treatment adherence using the traditionaldelivery method of cylinder gas is extremely poor, as patient burden frequently outweighs any benefit. We have shown that (1) oxygen therapyimproves exercise capacity and markers of skeletal muscle metabolism, suggesting that AOT may impact on physical function, (2) AOT can bedelivered effectively in fILD using a portable oxygen concentrator (POC), which is lighter and more manoeuverable than a cylinder; and (3)POCs are acceptable to patients. We have recently modified a POC to deliver air, providing the effective sham treatment needed for a robustclinical trial.This multi-site randomised controlled trial will determine the clinical benefits and societal costs of AOT for people with fILD and exertionaldesaturation. Our hypotheses are that (1) AOT delivered using a POC will deliver clinically significant improvements in physical activity,symptoms and HRQoL; and (2) AOT delivered using a POC will be cost-effective from a societal perspective. We will conduct a randomisedcontrolled trial with blinding of participants, assessors and clinicians, and an embedded economic evaluation. 260 participants with fILD andexertional desaturation will be randomly assigned to use either AOT or air delivered using a POC for 6 months. If this trial demonstrates clinicaland economic benefits of AOT then the findings can be rapidly translated into practice, with global impact on ILD outcomes and costs. Based on the published report Economic Impact of Multiple Sclerosis in 2010 Australian MS Longitudinal Study (AMSLS) Roche is interested in cost and utility data collected from patients with primary progressive multiple sclerosis (PPMS) only.Despite the type of MS not specifically being captured in the 2007 Cost Diary, 39 people with PPMS could be identified by matching participants with a more recent data collection.Roche is seeking Australian, PPMS-specific cost and utility data to inform a PBAC submission lodged in March 2017. A sub-analysis of the data presented in the 2010 report for PPMS patients only was identified as a viable data source to inform the PBAC submission. ObjectivePPMS-specific cost and utility data from the 2010 AMSLS analysis (2007 Cost Diary) categorised for applicability in a PBAC submission.Cost and utility data reported per EDSSResults available six weeks from the date of the fully signed contract. We will develop an unbiased, gold standard, validated, transparent health economics model of osteoporosis to identify cost-effective screeningand treatment strategies, and that will be made widely available to all stakeholders. Without this model, scarce health care resources may besquandered on osteoporosis screening strategies and osteoporosis-related fracture prevention medications that are not cost-effective. Worse,patient access to cost-effective medications may be delayed. The Centre for Research excellence in Pulmonary Fibrosis (CRE-PF) aims to develop a sustainable nation-wide network, consisting of world recognized experts. The group will enable an integrative approach to solving PF through a layered strategy extending from molecules germane to disease pathogenesis, to human studies. With this approach the CRE-PF will set a new paradigm for synergy between academia, health care, health policy and the public, placing Australia at the forefront of innovation. Our proposed project aims to test whether our new self-directed learning simulator course is as effective as the current standard teaching model that uses lots of instructors and human volunteer models. The advantages of the simulator course include reduced reliance on instructors, increased availability of the course (ability to train a lot more doctors than the current standard course) to and the ability to also teach learning of diagnosis of heart disease (not possible with the current human model). A health economic analysis will also be performed to determine if the new simulator course is as cost-effective (economical) as versus the traditional course. If the new course is as effective and economical as the current course then the simulator course may become the new method for teaching bedside ultrasound as it has important advantages over the traditional method such as increased accessibility and capacity to train doctors, and the ability to teach how to diagnose heart conditions. This would result in significant health benefits to a very large number of patients worldwide. A natural history study of MS outcomes between a treated (Australian) versus untreated NZ population to study the long-term effects of MS disease modifying drugs. This is a clinical epidemiological project. This project will encompass an evaluation of the after-hours incentive funding model and the value-for-money of the GP Assist after-hours telephone support service. This research project will: a) conduct and survey of Residential Aged Care Facilities pre- and post- implementation of the new funding model and a survey of general practices post-implementation of the funding model; b) provide an analysis of existing data collections on clinic hours and MBF billings data; c) deliver a final report based on the evaluation of the collected data, providing recommendations on the feasibility and ongoing sustainability of the model. The University has been engaged by a third party Primary Health Tasmania to undertake collaborative research in relation to its funding of the GP Assist program and establishing whether it is adding value to the after-hours provision of general practice services to residential aged care facilities, palliative care services and the Tasmanian community (Third Party Services). The Crown is engaging the University under this Agreement to conduct additional research as part of the University undertaking the Third Party Services to determine whether the Crowns funding of GP Assist to further assess the GP Assists contribution (if any) to the efficiency and sustainability of the rural health services. The number of people with multiple sclerosis (MS) is increasing dramatically in Australia, with rapidly escalating associated costs, both direct due to medical expenses and indirect due to lost or reduced employment. Existing and upcoming treatments for MS are expensive, with current prices of up to $25,000 per patient per year and rising. Using the best available data, this study will identify the treatments that are greatest value for money for the most common form of MS (relapsing-remitting MS), with a goal to reduce wastage of limited healthcare resources. This project will develop a series of increasingly redistributive funding models supporting the provision of accessible and effective after hours care throughout Tasmanian that address core objectives and identified areas of concern. This project explores dementia-related presentations to the RHH to inform the development of new clinical pathways to reduce preventable and unplanned hospital transfers that are costly and have poor outcomes for people with dementia. Care pathways from RACFs and community settings to the RHH will be reviewed. Respiratory conditions are a leading cause of unplanned admissions from residential aged care and the wider community. This project aims to reduce the burden of preventable unplanned admissions from aged care facilities and improve health outcomes. This project will use the AUSDRISK tool in a random mail-out to seniors card holders and via clinical contact at Clarence ICC (to increase the numbers of adults assessed in healthcare settings). Training will be provided for optomeyes and Clarence ICC personnel in the use of the tool. Follow up will be conducted with respondents who scored as being high risk, including recommended management by both the individual and their GP. Bariatric surgery is considered an effective treatment for significant obesity-related illness but it is difficult to access in Australian public hospitals. By describing Tasmanian public patients' characteristics, clinical pathways, costs and outcomes this project will support better informed decision-making about Tasmanian public hospital services for clinically obese patients. The aims of this project are to reduce Heart Failure (HF) admissions and costs in Tasmania by: i) using data linkage to identify locations where community service delivery should be targeted, and to evaluate current performance in HF readmission across the State; ii) developing a risk algorithm for HF readmission, including psychosocial determinants; iii) using i) and ii) devising a novel means of providing a disease management program (DMP), titrated to risk assessment, with physiologic assessment used to guide the management of the highest risk patients; iv) developing a clinical trial to define the merits of this approach; v) evaluating the cost-effectiveness of this intervention; vi) presentation of educational activities with community-based providers. A successful intervention is likely to be sustainable. As HF readmissions in Tasmania cost ~4550 bed days/y, the investment in this grant (~$1/2m/y) could be reproduced by a 50% reduction of readmissions.